In the three and a half years since My Chemical Romance called it a day, Gerard Way, Frank Iero and Mikey Way have all returned to the limelight to varying degrees. Gerard released a solo record, toured the world and has made further strides in the comic book world. Frank is barely off the road or out of a studio, seemingly working on multiple projects at all times. Mikey’s frequent collaborations and Electric Century projects have kept him busy and visible. But the band’s guitarist, Ray Toro, has been more of a mystery. His forays onto social media are infrequent and while there have been occasional glimpses of the music he is working on, he has kept largely himself to himself. Until now. There has always been an enthusiasm about Ray Toro. He talks excitably about most things: positive, polite and passionate. When he talks about Remember The Laughter, though, another p-word comes in: pride. The record is, in some ways, a surprise. It is rare for a guitars to be to the fore – though occasional thrilling solos burst free – and the rest of the album draws inspiration from people like Peter Gabriel and Phil Collins, Gotye and even The Cars as Ray plays with synths and strings. The focus is on songwriting and layering sounds, on making complex arrangements sound simple. In a lot of ways it sounds like an update on the classic pop-rock of the ‘80s. Its lyrics chart the course of Ray’s life since the split of My Chemical Romance. It’s been a reflective period for him. He and his wife had their first child, a son, and Ray found his focus shifting from himself to his family. His wife went back to college to earn a masters degree, leaving Ray by day as the stay-at-home parent. And in that time, he had a good think about his former life. The record, as a result, is much like the memory box of his light concept. “Since My Chem, I’m now able to look back on things in a very different light,” he says. “When the band first broke up, I was still processing those feelings for a while, I was processing the loss I felt, so I didn’t have time to look back on what we accomplished in a very nostalgic sense – it was more feelings of hurt and loss. He recorded the album himself in his house, playing nearly every instrument on it too. Former MCR drummer Jarrod Alexander helped with the rhythm tracks after Ray played the basic drum parts himself – “He does his thing and makes it a lot better,” says Ray. It was a steep learning curve, and Ray found himself going back over and over his tracks to improve them. It shows, particularly in melodies which are strong enough to lodge in the head for days (particularly on the opener Isn’t That Something and the blues rock stomp of We Save). The album, as a result, is something of a grower. 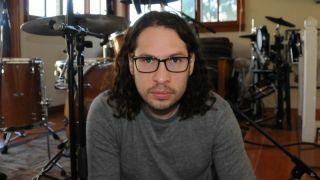 Ray Toro: "Everybody wants to be loved for who they are"
Lyrically, he explored different options. He attempted to write metaphorically and found that it didn’t feel real. Instead, he says, “writing the songs personally was the only way I could do it.” There were times, though, that presented different problems. It means the album is shot through with references to Ray’s family. “Walking In Circles is about my wife and my desire to spend the rest of my life with her,” he says. “Remember The Laughter is me thinking about how I might say goodbye to my son later in life, thinking about what I would tell him before I pass. If there is a positive to come from the break-up of My Chemical Romance, it has been in seeing the four personalities of the key members of the band emerge since. Frank’s music has been, like him, intuitive, heartfelt and in the moment; Gerard’s quietly ambitious and artistic; Mikey’s sleek and cool. Ray’s album feels a lot like him too: it is considered and thought-through, meticulous and understated. He is releasing the record himself on November 18 and is in rehearsals with a nascent band who have plans to tour early next year and to add more shows for the end of 2017. There is something appropriate about the fact that he will be the last of the gang to head out on his own and release his solo record: quiet, thoughtful, thorough Ray – the one who took his time to make sure he got it just right. Remember The Laughter will be released on November 18.